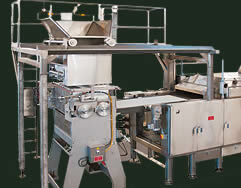 Casa Herrera's Corn Tortilla Cooling Conveyor Incline is a high-quality stainless steel Conveyor which effectively reduces the temperature of corn tortillas, flour tortillas, chips, pita bread and other baked products to your desired ambient room temperature following baking. 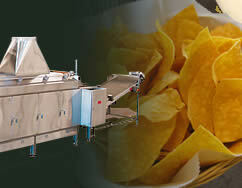 The Corn Tortilla Cooling Conveyor Inclien is USDA approved and can be custom engineered to meet individual customer specifications, including total length and number of tiers. 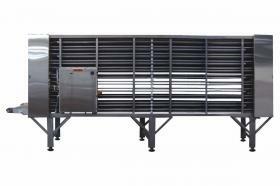 Available as Flat Bed Cooling Conveyor for larger output needs. 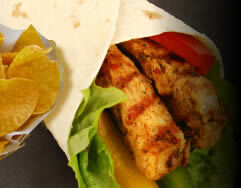 Available with Air Conditioning for Press Tortillas. 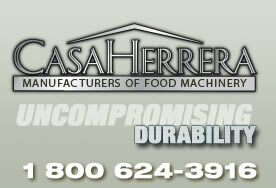 The Casa Herrera Cooling Conveyor is available in the Incline and Flat Bed configurations.